Online reputation management has never been a once-and-done strategy, yet many businesses treat it as such. With constant communication happening on the Internet, one of the largest parts of managing reputation is monitoring. As a business owner or manager, it is near impossible to properly monitor and handle reviews and an overall online reputation management campaign. In today’s world, employing an Internet marketing firm to be your online advocate is a must, not a luxury. Numbers for online trust are also increasing, up to 86 percent this year from 76 percent last year. This means your company needs to be in the business of constantly building reviews, to both add to Google ratings and also to combat any stray negative reviews that might come your way. About two-thirds of online searchers read less than six reviews before forming their opinions and making a purchasing decision. This means that having high ranking online reviews can be the single reason that customers are heading to your store. Social media is another important component to online reputation management. Many informal reviews are actually posted in this medium – and have the ability to quickly become viral through sharing. An Internet marketing firm can both monitor social mentions online and develop a response system to any posts that need attention. Think of the power that can come from many people discussing you and your brand online. 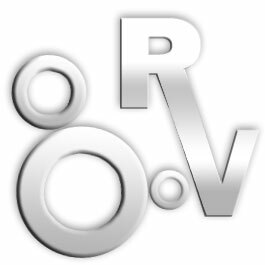 Let Rostin Ventures SearchAMP Marketing put years of expertise to practice for you – get ranked, get noticed, get business.